Nike is Just Doing It Right. 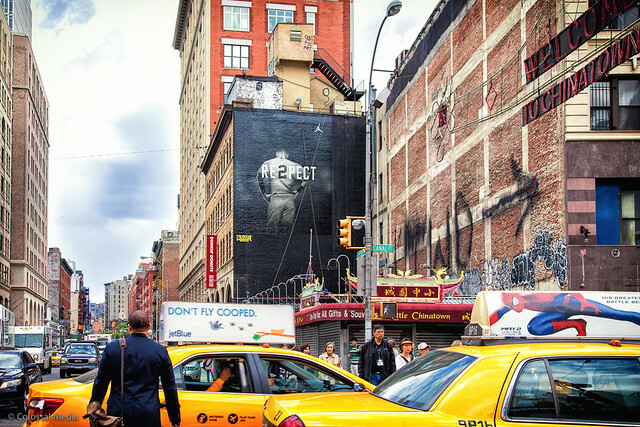 Today, Nike officially released an online ad campaign for Derek Jeter. The ad will make its television debut on Tuesday night—during Jeter’s final All-Star Game. The ad shows different athletes, coaches and pop culture icons tipping their caps to Jeter. While the ad is playful enough to catch anyone’s eye, it’s also a bit of a tearjerker for some die-hard Yankee fans, as this will be Jeter’s 20th and final season. Less about the ad and more about the design of the whole campaign. The simple inclusion of Jeter’s jersey number in the campaign is a subtle and elegant touch. It reads well yet reflects something completely Nike at the core. Nike has done a great job over the past years with understating their designs, and truly letting the designs speak for themselves. From the “swoosh”—the heart of the Nike brand—to this “RE2PECT” campaign, they do an amazing job at conveying so much emotion through so little. Below is a sampling of some of the amazing work that’s tied together in this campaign.